Rostow Ravanan's treasury management is not about maximising profitability. Safety is his main concern because he believes "he is the custodian of someone else's money". 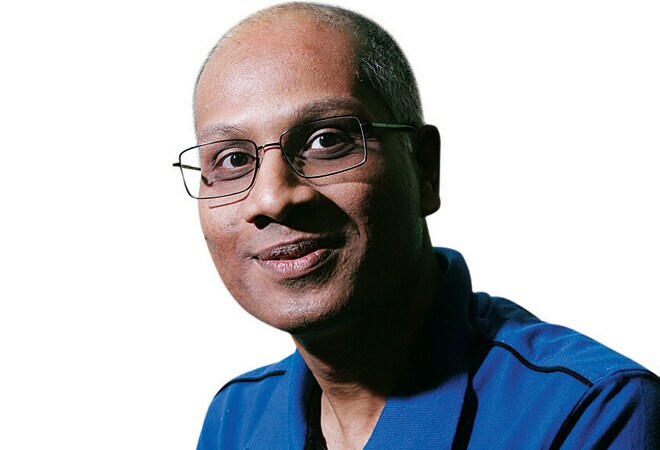 Rostow Ravanan, co-founder and CFO, Mindtree. Photo: Deepak G. Pawar. After the accounting scandal at Satyam Computer in 2009, mid-tier technology services company Mindtree grew cautious. It started counting every rupee it had in deposits, its liquidity management practices grew more sophisticated, and it became more process-oriented. "Our deposits are verified quarter after quarter since 2009," says Rostow Ravanan, Chief Financial Officer and Co-founder of Mindtree. "Investors are typically worried whether you have the money you claim to have. The confirmations go directly to the auditors." Ravanan has implemented many processes for good governance at Mindtree. He also led the company's initial public offering in February 2007. His treasury management is not about maximising profitability. Safety is his main concern because he believes "he is the custodian of someone else's money". Mindtree, a $500 million company now, does not have the luxury of funds that larger rivals such as Infosys and Wipro do. This made the company's investment approach conservative. In the BT-YES Bank Best CFO Survey, Mindtree has emerged as a winner in the consistent liquidity management category among mid-size companies. "Our primary objectives were to ensure safety and liquidity because, unlike others in the industry, we did not have huge surpluses to manage. So we kept in mind possible events such as mergers and acquisitions or a capital expenditure," says Ravanan. To make sure money is available at all times, the company does not invest much in long-term instruments. It also does not make any investment in equity-oriented mutual funds, which can lose value. "So it's usually in very highly regarded financial institutions where we place deposits like with HDFC or we choose debt mutual funds," says Ravanan. Mindtree also classifies the funds it invests in. It analyses the size of the fund and the debt portfolio, the performance of the fund manager and end-use investments the fund makes. "We choose funds which are large. Then we have our preferences. If a mutual fund makes investments in real estate, it is a risk. Next, we also have limits by fund house. We make larger investments in large funds," says Ravanan. About 85 to 90 per cent of its cash is invested in mutual funds . Overall, the company has a little more than Rs 600 crore worth of investments. In the year ended March 2014, the returns on investments have beaten internal expectations. "We had an expectation to do six per cent post-tax yield on our investments. We ended up at 6.5 per cent. The year before as well we beat the target by 50-60 basis points," he says.